Thinking of an Easter getaway? Consider this 2 NIGHTS PACKAGE. Ksh. 39,999 per adult sharing. 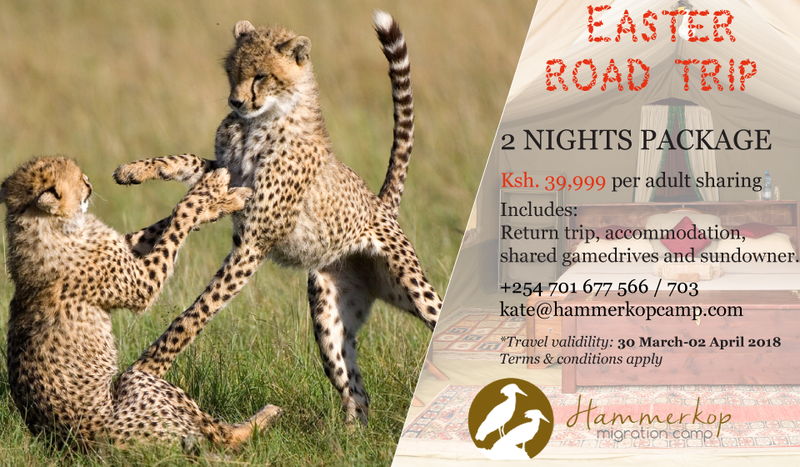 Includes: Return trip, accommodation, shared game drives and sun-downer. Excludes: Park fees, drinks, gratuities, laundry and exclusive use of vehicle. Valid: 30 March – 02 April 2018 *Terms and conditions apply.